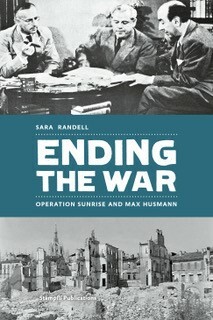 In June 2018 the book „Ending the War - Operation Sunrise and Max Husmann, by Sara Randell, will be published by Stämpfli Publications, Berne. Dr. Max Husmann founded Institut Montana in 1926. By February 1945 Hitler had lost the war but no one knew for how long the meaningless killing would persist. Then a message arrived in Zurich that a handful of German officers might be convinced to renege on their oath of loyalty to the Führer and surrender. The ensuing negotiations, conducted secretly in Switzerland, were called Operation Sunrise. Max Husmann was a key player in this operation. He was not a military man but an educator. His school on the Zugerberg was built on a belief in the power of education to help build a world governed by peace. Capitulation was reached by May but the struggles of those months and the political strife of the aftermath that silenced the story for decades, are lessons in how hard it is to end a war. The book will be available to be ordered online in June, further information will be published soon. During our Homecoming, 30th of June, the writer Sara Randell will be making a presentation and signing copies on the Zugerberg.